I've spent the past two weeks updating our old, outdated master bathroom. I did it all myself, and with a budget of less than $100. I'm so excited to finally be able to share all the DIY details with you! My way of working with a small budget is to focus on what I can change cheaply and make the best of what I have. I would love to upgrade to a fancy glass shower and gorgeous marble countertops, but that's just plain unrealistic for us right now. In the meantime, I wanted to at least upgrade the space by using a few inexpensive diy tricks I have up my sleeve, most of which require paint! Hopefully this will help give you some ideas & solutions for your own outdated bathrooms! So, here is what the bathroom looks like today. I decided I wanted our master bath to be a fresh, clean aqua blue. I decided upon Sherwin Williams Sea Salt, which is my absolute favorite color. I even used it in my closet! Here is what the bathroom looked like 2 years ago when we moved in. We had peachy-beige walls and orange, grainy cabinetry. 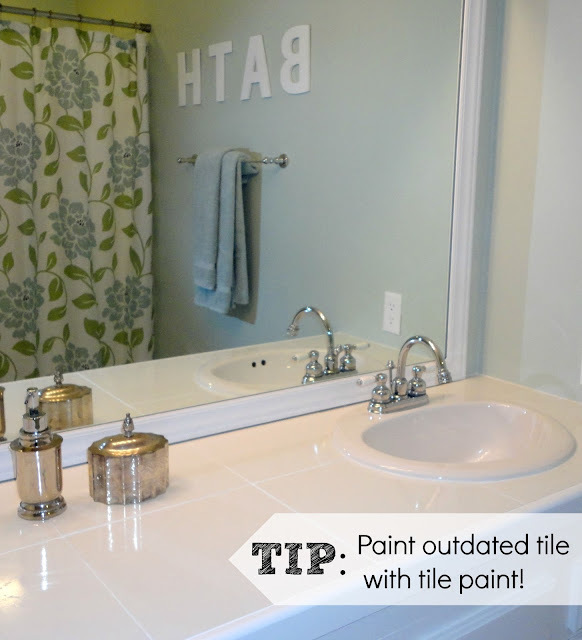 The very first thing I did in this bathroom was to paint the cabinetry and trim. 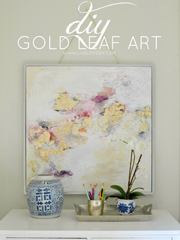 It's an easy, affordable solution, and always helps to update an outdated space. See my best trim painting tips here. I also changed out the hardware on the vanity. I decided to switch it up a bit by putting round knobs on the drawers and vertical pulls on the doors. I love adding little personalized touches like that. Luckily, the former owner had already installed gorgeous faucets and crisp white sinks, so those stayed. The tile countertops were painted white using the same product I used here. It's such an easy update, and way cheaper than replacing your countertops. See that soap pump and little canister? Both came from my favorite thrift store. I think they were about $2 each. I also painted the grout on our floor tile. It was kinda dingy, and grout paint was an easy solution. Here's that part of the project halfway through. You can see where the restored white grout runs into the old brown grout. Here's the grout completely done and looking clean and new! You can see how I paint my grout here. I also scored a cute floral shower curtain and bath mat at Marshall's. After painting stripes in the guest bath, I wanted to do something special here, too. So, I found some big cardboard letters at the craft store and spray painted them white. I stuck them to the wall with some wall hanging adhesive. Now, onto the next part of this bathroom, the mirror. In the guest bath, I removed the construction grade mirror and hung a framed mirror. However, in the master bathroom I ran into a problem. The mirror was attached to the wall with adhesive rather than screwed in like the other bath. Rather than deal with having it shatter into a million pieces, I decided to build a frame around it. Here's the before pic. You can see that around the edges the mirror was discolored and looked awful. So, the we went to Lowe's and picked out some cheap faux-wood trim. Faux wood was definitely the way to go for this because not only was it cheaper ($6 per 6ft piece), but the synthetic wood was also really lightweight and much easier to hang. Here is the finished mirror, all framed in. After we glued the frame to the mirror, I caulked the gaps and painted the entire frame white. I think it looks so much better than the old construction grade builder mirror. Oh, and my budget dried up before I could get a toilet paper holder thingy, so for now, the toilet paper has a bowl. Here's the view from the other way. You can see out into the bedroom. And there ya have it: Our little blue master bathroom! It's nothing special, but it's so much better than before. It feels totally refreshed and new, and it no longer makes me cringe when I walk in. And that, my friends, is a success! Thanks for letting me share my home with you! Dang girl, good job! I'm giggling that this took you a week?! Am I reading that right? This would have taken a year in our crazy un-finished product house! I can't wait to hear about the grout paint. Pleeeeeeaze do a post on that! What a beautiful transformation! Love the look! amazing what some fresh paint will do! looks awesome! LOVE the letters and the shower curtain, too! It looks fab! I totally understand about the "forever home" thing. Husband and I are upgrading our master bath on the cheap, too! You did a great job! This really is a fresh breeze! Looks totally like another room. You did amazing job! Beautiful! Just wondering, Did the shower have doors on it? I want to take my shower doors down and put up a curtain instead, because they are gross and nasty, and cant be cleaned well anymore.. Love the colors too! I luuuurrrrve it. So bright and cheery. Great use of color and $! Good Job! Your bathroom is so beautiful and an inspiration. I am curious to know if you painted the trim around the vanity? We too have white tiles trimmed in oak. I have wanted to paint our vanity but wasn't sure what to do about the trim. If you painted it did you use the same paint? Any special preparations? Thanks. WOW. that grout looks fantastic. I thought it was new. It looks beautiful! Love the Sea salt color. I'm putting that in my paint memory bank-it looks so nice! It looks beautiful. Congrats. If you ever want to take down a big mirror the trick is to tape it all down first with clear packing tape or similar. There are some larger versions, I believe, in the carpet aisle and such. Then you need two people. If one of the two has multiple arms, that is helpful. ;) There is a tool called a glass cutter that is cheap. It scores the glass so you can sort of break it in pieces. The adhesive on the back will make it not come out in perfect little squares but the tape keeps little pieces of glass from flying around. Always wear safety goggles - just in case. Ok, THIS BATHROOM LOOKS INCREDIBLE! What a great change! It is just so refreshing and fresh! Can't wait for the grout tutorial! I have some major disgusting 1960s grout that needs help! I've tried super grout cleaner from Lowes and just bought the grout bully but I can't wait to see how you got your grout so white! Truly Lovely today! 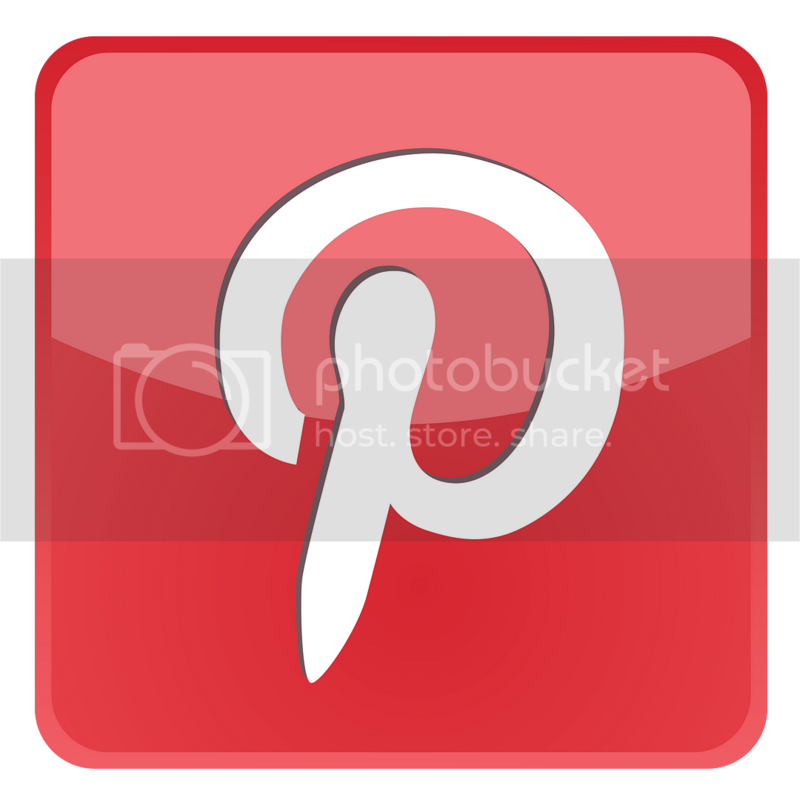 :) Hope you'll check it out and grab a featured button! Looks amazing--great job! 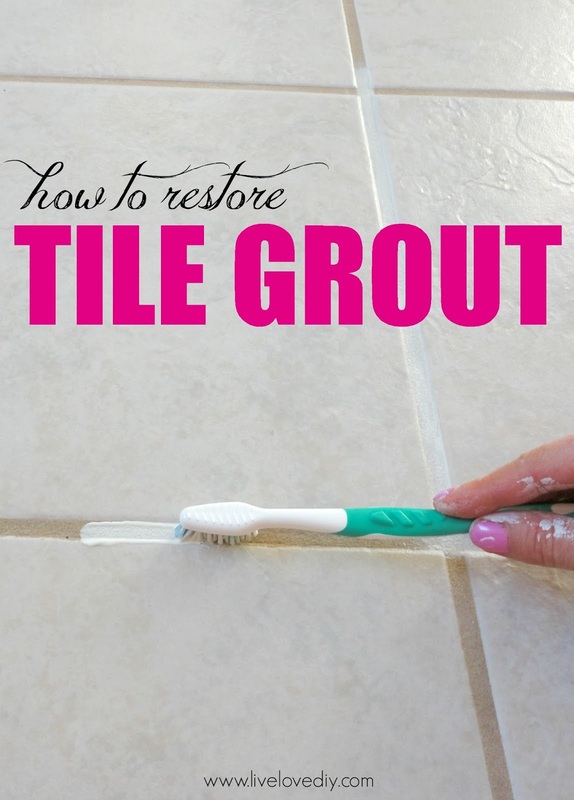 And you're right, the grout looks brand new! Wow, what a transformation. I will be featuring this tonight at my Sizzle into Summer party that opens at 8pm EST. Please stop by and pick up an I've Been Featured button. Thanks. I love your bathroom and your blog! 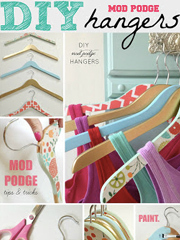 I found you from DIY Design and am a new follower. Having fun going thru your archives and looking at all your projects! Beautiful change ... the colors are super pretty together, very fresh & inviting! Such a beautiful makeover. Your bathroom looks great! It is just stunning! I'll be featuring it today. I have the same problem, but i my countertop and sink doesnt not look crisp white...any suggestions what i can do??? Thank you for sharing your bathroom and it looks awesome - we have similar taste! 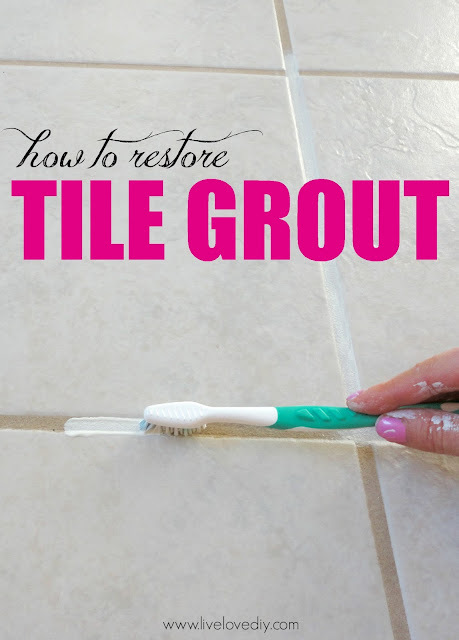 I love the idea of painting the grout! 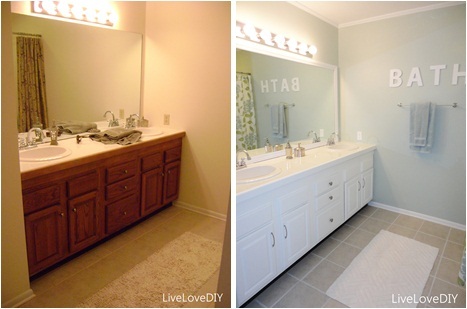 I am going to be painting my bathroom this summer as well as the cabinets - and NOW the grout! Thanks so much Chernee! Happy I could share some ideas!! I think the paint colors in a house should have some sort of flow and continuity to them. It just makes everything make sense. 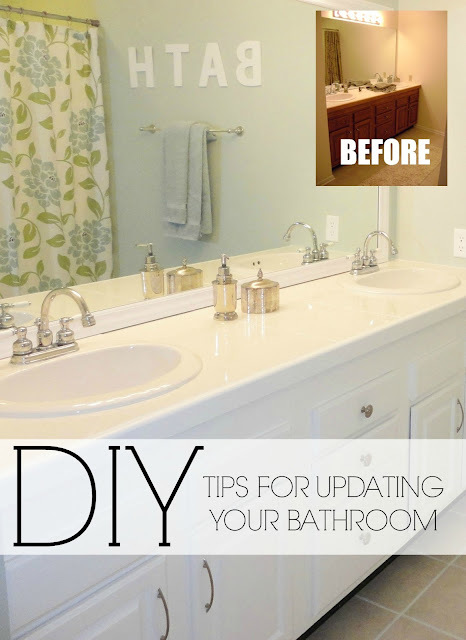 I love your DIY bathroom! 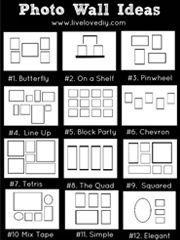 I am going to try to frame out my bathroom mirror with your suggestions. What kind of glue did you use to adhere the faux wood to the mirror? Hi! 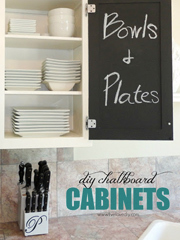 I'm new to your blog and wondering what color you used for your bathroom cabinets? My husband and I have bought an old home as well and you have given me a lot of hope!!!! Thank you soooo much!! Looks so great! I have been talking about painting the tile in my bathtub (they re-did the tiling but chose the cheapest white tiles and didn't even do an interesting job lining them up) and used the most bizarre "accent tiles in orange, purple and split-pea soup green (yuck!) but NO ONE believed me that there was "tile paint" out there! HA! I will do this soon when i can get my baby out of the house long enough that it's safe for her to come back! I have similar ugly grout so can't wait to clean it up (white tiles and dark grey grout- who does that?) and a similar mirror situation. How did you get the mirror trim/frame on there? Glue? You have totally inspired me!! I am so impressed. Every post I read, I get more and more excited about buying our first home. Thank you SO much! It's amazing to see the before and afters. Awesome. You certainly help solve one of my problems, research pays off! I love your bathroom! And I also like that you don't have old 70s-80s tile on the walls! Our house is much like yours used to be before renovations, with brown wood trim and brown doors and all the other goodies. The bathrooms, however, have hideous peach-colored 70s tile on the walls and in the shower. Do you happen to have any recommendations? Do you know if there is any tile paint that is water & steam resistant? Thank you! Completely and totally inspired me to do the same to our dingy grout. THanks! 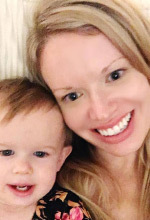 I am so happy to have come across your blog! We moved into a home that has many of the same features yours did prior to the updates. Our master bathroom looks very similar to your before... I too cringe every time I walk in!! We recently had a baby and are not in the position to spend much on updates. I have been in search of ideas on updating with a slim budget but had not come across many that really stuck out to me. Your posts have given me so much hope! Thank you for sharing!!! Cute! I am going to paint my tile grout in our guest bathroom. Your almost done, but not quite, photo convinced me that I need to get on this bathroom project ASAP! 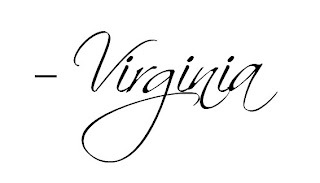 Virginia, what did you mean by faux molding for your mirror? Where did you buy it? Did I read that you also painted the top of your vanity? I'd love to do a makeover in the main bathroom but don't want to go to the expense of ripping everything out. 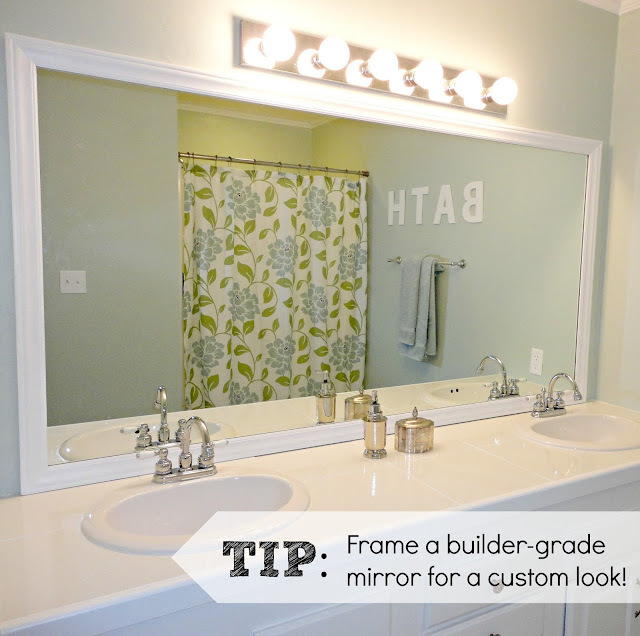 I do need a new light that is more stylish in that bathroom..If I could paint the 1977 builder's grade vanity(probably fiberboard)and it come out as well as yours did, I'd do it to save money. Replacing faucets can be reasonable, depending on what you chose. I'd like to take the old medicine cabinet out and put a nice picture in that area or maybe a nice towel rack for hand towels(?) Even changing shower curtains can make a big difference. I have the palm tree shower curtain and floor mats, and vanity accessories(cup, soap dispenser, etc. 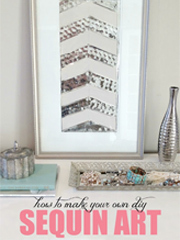 )plus beautiful framed picture above the toilet that I love.. Love your floor tile too! I'm in love with you right now. My bathroom needs a face lift and I just stumbled on your blog. Thanks for sharing!!!! You are amazing! thanks for sharing your projects with the rest of us. Can I ask where you prefer to buy your paint and stuff??? And what is your favorite thrift store???? Do you have a tutorial for the painting of the bathroom vanity? Thank you!